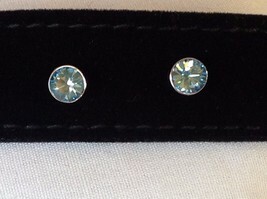 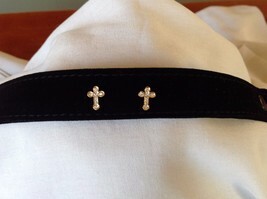 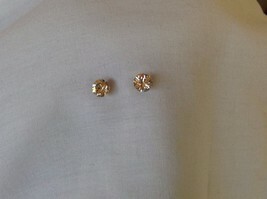 This item is selling for $39.99 on eBay. 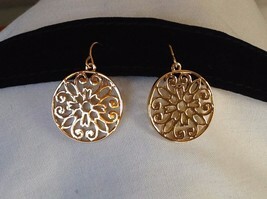 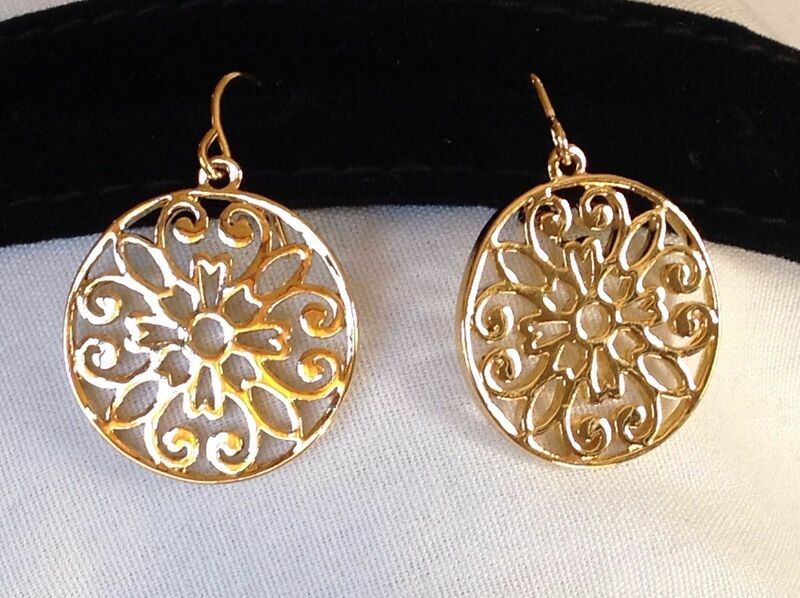 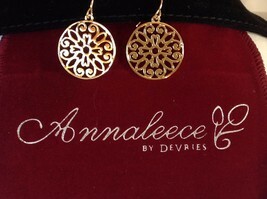 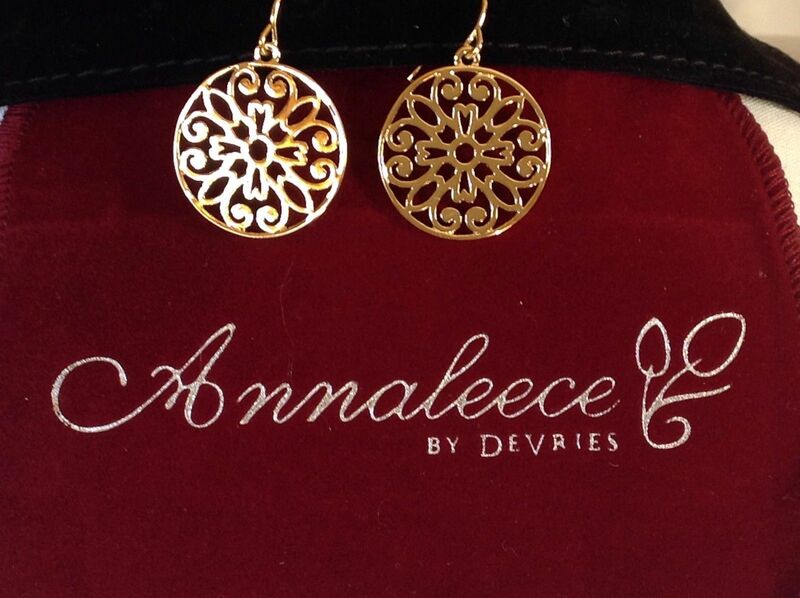 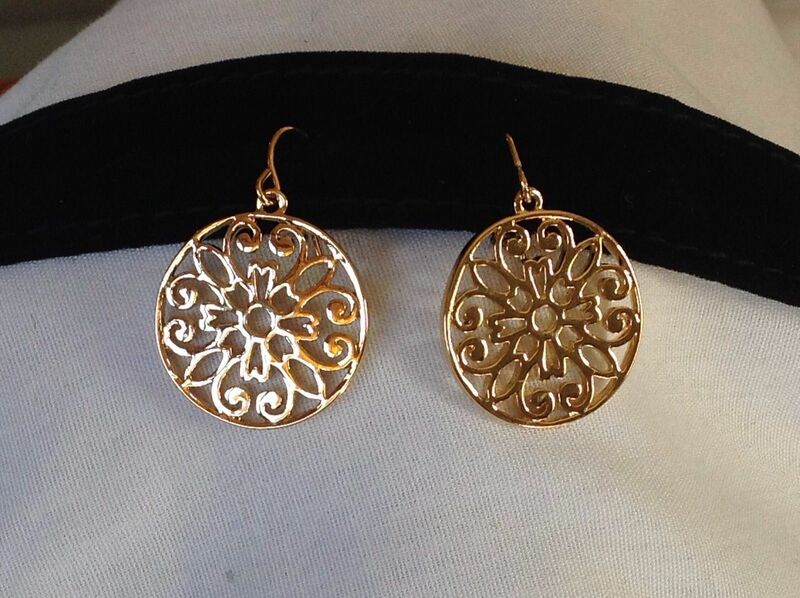 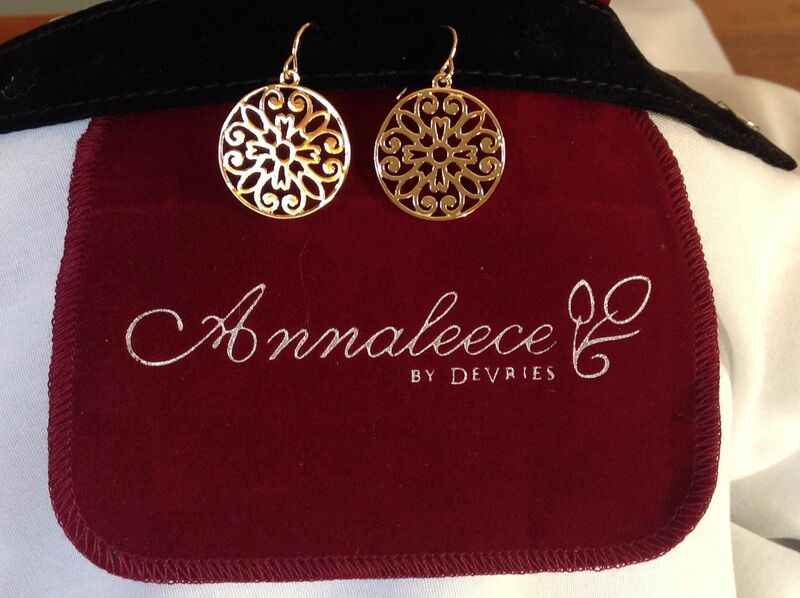 This is a new without tags Annaleece 22 karat gold dangling earrings. 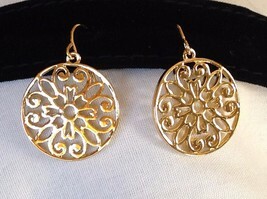 They are round with a floral design. 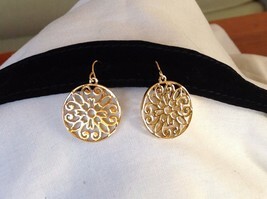 Hooks - circle measures 1" diameter.